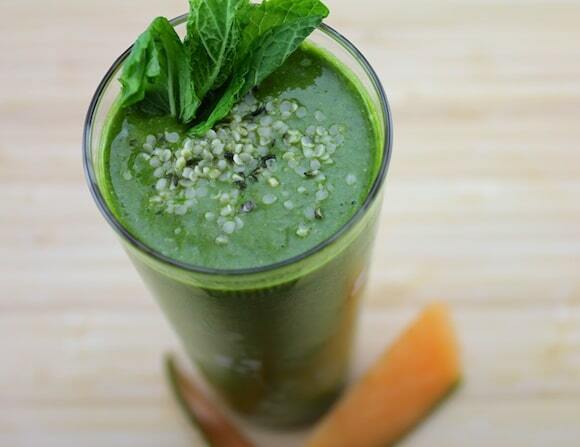 Here’s a recipe for a vegan and delicious smoothie using cantaloupe. This recipe is perfect for a healthy summer breakfast. 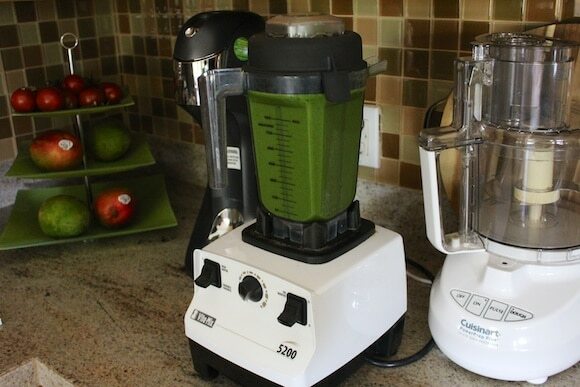 Combine water and hemp seeds in a high-speed blender. Process on high for about 10 seconds or until combined. 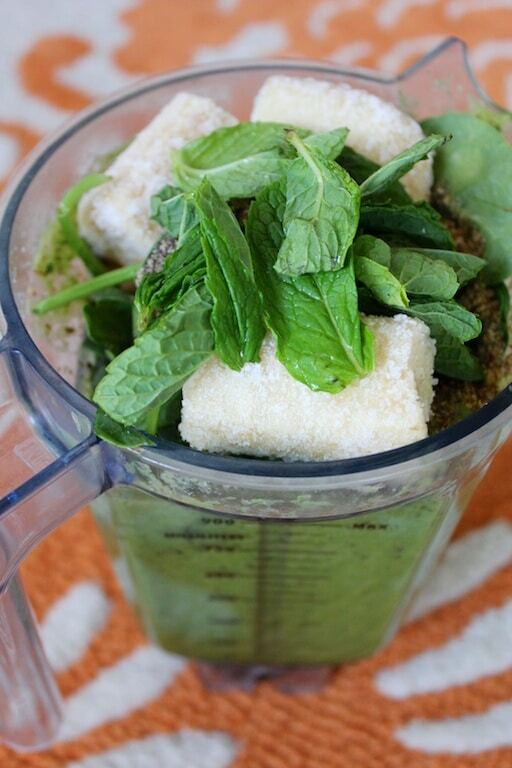 Add cantaloupe and spinach and process again on high until combined. Add fresh mint, frozen banana, frozen strawberries, chia seeds, flax meal, and cinnamon and process one last time on high until all ingredients are combined. For lunch, Alan and I traveled into Los Angeles to meet up with some friends who moved away seven years ago and we had not seen since! Like all good friends, it was as if no time had gone by. Okay, so why is today special? It’s my 4-year blogging anniversary! I cannot believe it’s been four years since I wrote my first post (you can see it here, it consists of one sentence and the photo is missing because at one point I temporarily ran out of space and some photos got deleted). 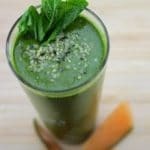 For those of you who have been reading for awhile, you’ll probably remember that this blog used to be called Love Healthy Living until about January of 2011 when it became Carrie on Vegan. Oh, how things have changed! What hasn’t changed is my passion for cooking and writing, my love for interacting with you, and my overall interest in sharing my journey for healthy, compassionate living. I have deep gratitude to each and every one of you for reading and being a part of my life. Here’s to many, many more years of blogging, living, and loving!!! Happy Blogaversary!!!! The smoothie sounds good :). And I like the little carrots on the menu. Congrats, Carrie! I recently discovered your blog and I love it! You are inspiring! Congrats on your anniversary! I have been reading for about 6 months now, and I love all your recipes and enjoy reading about the events you have been to. 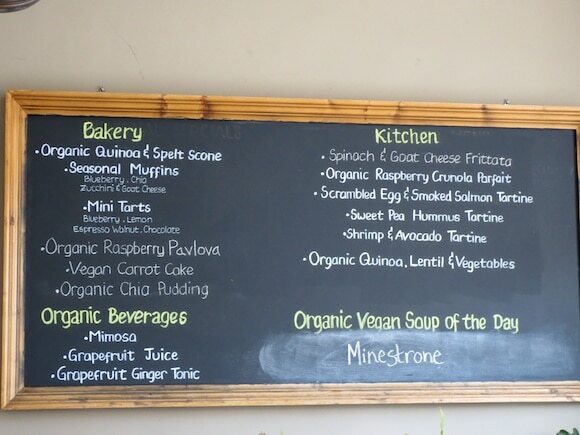 I am super jealous of all the availability of vegan foods/restaurants you have there in California. I have to hunt a little more out here in the Midwest! Congrats Carrie on your anniversary!!! I recently started following you and am very inspired. I just started my own blog about a year ago and hope to be as successful as you are someday! Congratulations! You are a bright light and big inspiration to many! Wow, four years! What a milestone! Keep on writing Carrie, I love your blog and am continuously inspired by your activism and positivity. Happy 4th anniversary! I started ETL over a year ago and can say without hesitation that your blog was THE main point of inspiration I found in keeping me commited 100% in eating this way. I enjoyed good health, weight loss, increasing energy, decreasing my meds, etc – all of the great things that come from following ETL – but I had such a learning curve in trying to figure out what to cook and eat. Your posts, photos and recipes were key in keeping me inspired so I, for one, am very glad you have kept at it for so long. Again, happy anniversary! Wow, thank you for the message, Sue, I can’t tell you how good it makes me feel to read your kind words. So happy you are doing well and staying inspired. Yay! Congrats Carrie on FOUR years!! I use to be a blogger back in my craft days when I wrote “how to books” and taught classes. You’ve totally inspired me to start up my new blog to document my joy of being vegan, my love of cooking and trying to become a runner. Thank you for the inspiration and wonderful blog!! Cool, Katherine! Glad to have you back in the blogging world! Chia Seeds are next on my list of “things to try”. I love you blog – have just made a serious start on my own plant-strong journey. Thanks, Becky! You should definitely get some chia seeds, you can make all kinds of great dishes with them like chia pudding. They make a great thickener for smoothies and can also be used as an egg replacer! Happy 4-year blogging anniversary, Carrie!!! Happy 4 year blogging anniversary, Carrie!! Congratulations on your anniversary! It’s a great blog! Love the post and all the photos! 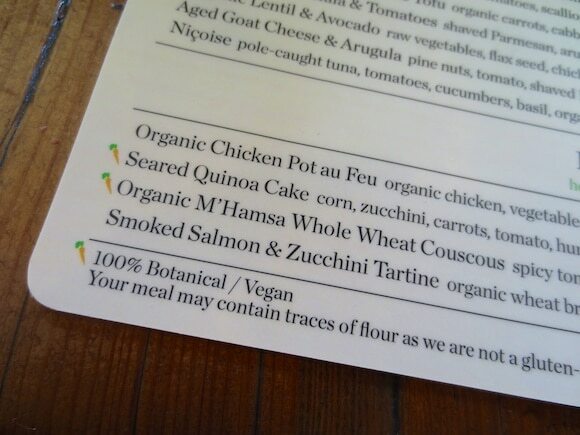 So nice to get the name of a great healthy vegan friendly restaurant for when stepping outside the desert for food too. Thanks! 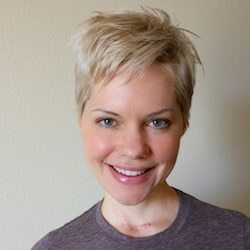 Hi from a new reader! Happy blogiversary! 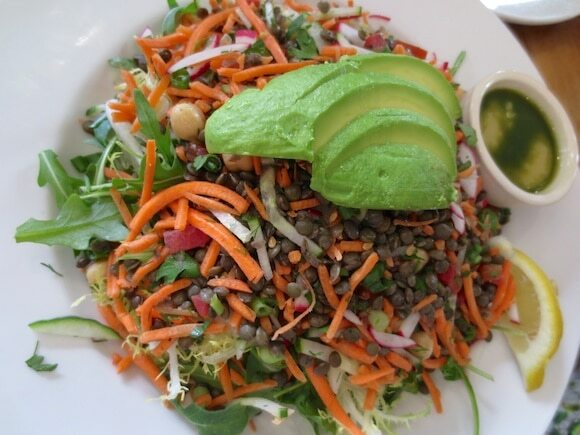 The lentil and avocado salad looks AMAZING! Congratulations, Carrie! What an achievement, it’s a lifestyle now, I would think! You have been and are a great inspiration for my raw vegan lifestyle, thank you so much. In about two weeks we can celebrate our one year anniversary as vegans, yeah …. it does feel a lot longer, since so many things have happened due to the changes, we have made! Lots of love for the next 4 years! Thank you for the kind words, Oly! I’m so glad we connected through Instagram and now here, it’s been great to interact with you and hear about your progress. Congrats on your upcoming anniversary, that is really exciting! I am so glad you’re here. I stop in often to check recipes and see how you are doing. Especially since the cancer. I hope you are here for many years to come. Congratulations on your 4th and to many more years to come! I thank you for writing your blog and being such a wonderful inspiration for me and many others. You look fabulous and there is absolutely no doubt this way of eating agrees with you! How are your studies going? Thank you for the nice note, Jeanne, I really appreciate the kind words. My paper is coming along nicely, but I will be so happy when this project is done! Then, I have one more class in the fall before I get my degree. 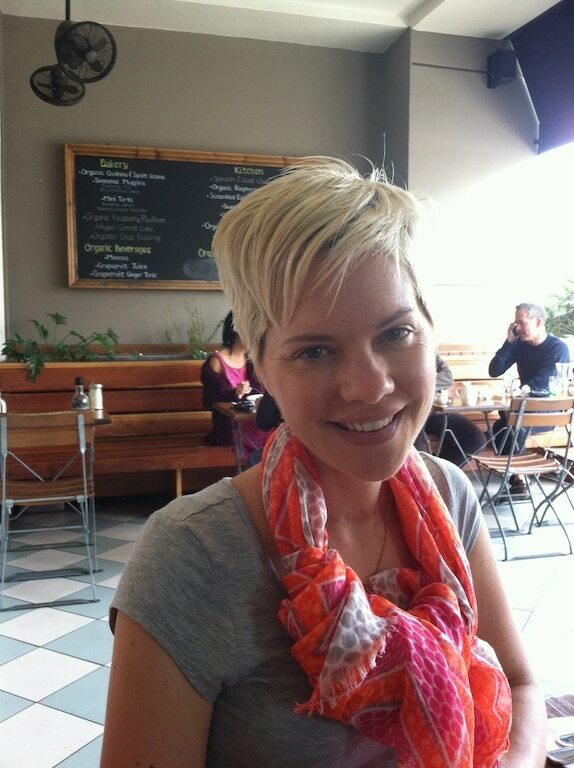 Happy Blogiversary, Carrie! Your hodgepodge dinner looks delicious. I love amaranth. It makes a great breakfast porridge, too. Thanks, Jackie! I am just starting to appreciate how great amaranth is. I love the texture! Congratulations on 4 Years of blogging, Carrie! I love reading your posts, your recipes are delicious, and I am always smiling a little more by the end of each post! 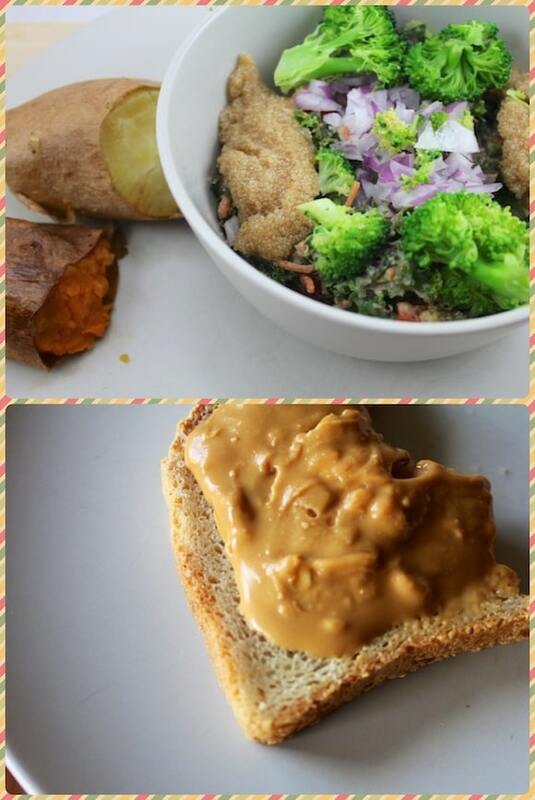 It’s also so great to have a resource that I can go to for recipes that I am confident are nutrient-dense, follow Dr. Fuhrman’s guidelines, and are always delicious! Keep up the great work! Happy Blogaversary! And the smoothie sounds wonderful – yum! All the eats look wonderful too, I want to work with amaranth more. Thanks, Christine! I’d love to see how you use amaranth. It’s a bit porridge-ey, but I really like it. Yeah, I really like your blog. I always check in to see what you’re cooking (blending, chopping, massaging). Congrats Carrie! Your passion and genuine interest in veganism, nutrition, health and well-being shine through every post. I appreciate your sincerity and openness, and I have such deep gratitude for all the amazing work YOU are doing through your blog. I’m looking forward to continuing reading your posts and following your work. Shine on, Carrie. I’m so glad you started a blog to share your inspirational journey with us. Congrats!! 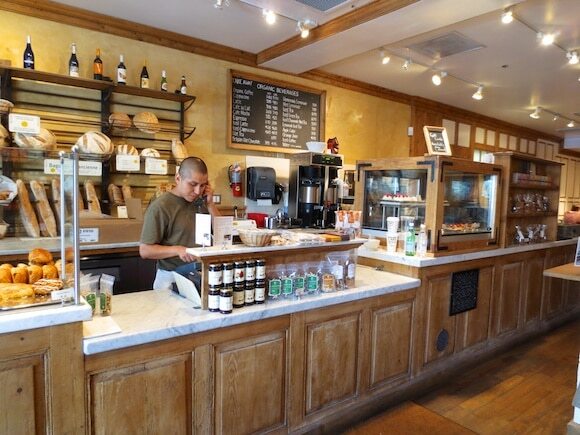 Thanks for linking up and sharing this at Gluten Free Fridays! Congrats on your anniversary and I hope you continue inspiring us with your blogs and great recipes!